This post is part of a series that aims to shine a light on projects in which Dorico has played a part. If you have used Dorico for something interesting and would like to be featured in this series, please let me know. Claude Lapalme is a conductor, composer and arranger who has been the musical director of the Red Deer Symphony Orchestra in central Alberta, Canada for the better part of three decades. 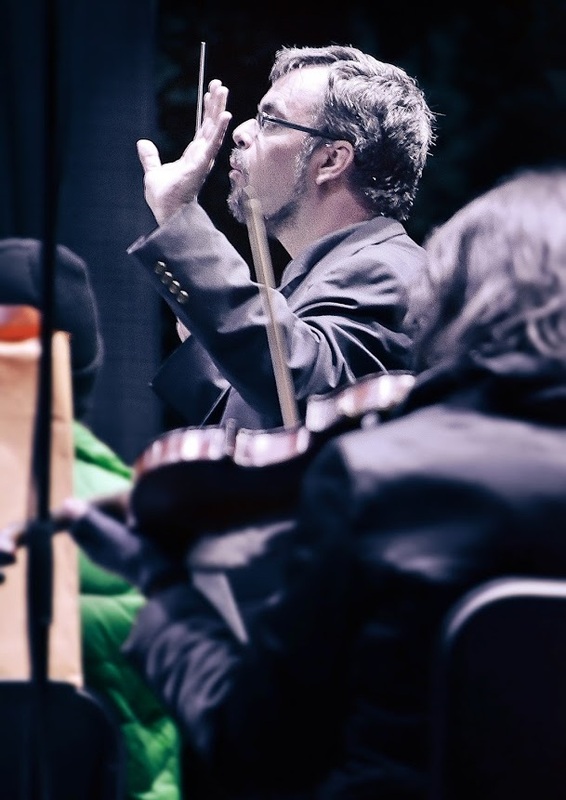 Claude began his conducting studies in Toronto in 1980, and after a period of studying abroad in the Netherlands he returned to the University of Toronto as an instructor. The RDSO has been a constant in his musical career, but he has written arrangements for and conducted many other ensembles both in Canada and around the world. Claude was also an early adopter of Dorico, and within a couple of months of the program’s release, he had more or less completely switched from his former software of choice, Sibelius, and he is now an enthusiastic supporter of our new application. Claude is also generous enough to share his knowledge and experience with other users on the Dorico forum. I wanted to find out more about Claude and his prolific work both as arranger and musical director for the RDSO, and how he has been able to make the transition to using Dorico more or less exclusively in his arranging work. DS: You’ve been the Music Director of the Red Deer Symphony Orchestra for many years now – the orchestra is in its 30th season at the moment. This must be a fulfilling musical relationship to have lasted so long. How would you describe your partnership with the RDSO? CL: I have been with the RDSO for 27 years! Depending on how you qualify a professional orchestra, this could be close to a Canadian record. Though we have a collective agreement, we are a “per service” orchestra with about a dozen programs a year. So our musicians also rely on performing with other orchestras and chamber groups as well teaching to complete their musical life, but they always come back to us saying RDSO is their favourite gig. They have a great relationship with each other, and also with me. Rehearsals are both good humoured and exacting. It’s a pleasure to work with them. The schedule also allows me to do indulge in other musical passions, such as arranging/orchestrating, something I adore doing, and also early music as I have also founded a baroque period instrument group here in Alberta. But the RDSO will always have a special place in my heart. DS: One of the RDSO’s programmes is Choir Kids, which involves children from many local elementary schools to perform with the orchestra, and for which you produce quite a number of new arrangements each year. Has Dorico helped you to put these arrangements together at all? CL: Absolutely. Dorico’s concept of flows has made this project much easier to produce. Instead of having 22 of these small charts as individual files, I could now write it as a single file for each concert; one with 22 charts for May 1st and one with 17 charts for May 8th. Instead of distributing all of these pieces individually to each player and setting the order as we go, I was able to create individual binders quickly for each musician. Before doing so, I was able to finalize the concert order with the teachers and reorder flows before publishing. Also, having a whole concert in a single file made part editing unbelievably fast. All I had to was creating better page turns. Dorico’s layout, collision avoidance and practically perfect engraving meant that verifying and editing parts for the May 1st concert was done in less than 30 minutes after the project was completed. It felt like a miracle! I’m now working on the new songs for this year, and there will be another 43 charts to produce. DS: You are a heavy user of music notation software and have to produce hundreds (if not thousands) of pages of parts each year. How have you found Dorico fits into your workflow? CL: I took to Dorico faster than I thought I would. Learning new software can be daunting and I of course had to practice. In the end however, my workflow has now improved compared to what I could do with my previous software. Though I was initially perplexed with the concepts of notation, layout and engraving options, as well as the use of the properties pane, I realised after a few weeks that everything in Dorico was built to make sense. DS: Another project you’ve worked on recently is arranging a set of Leonard Cohen songs for Steven Page. Were there any particular challenges involved in bringing that project to life? CL: Well, as usual in the business of writing symphonic pops material there is always a “We don’t need it good, we need it Thursday” situation. It may take a while for the artists to provide the required material, and I do have a complicated schedule (which probably resemble yours!). In the end I had to do this work in January and February for a February 20th concert. Fortunately, I had completed three full orchestra projects on Dorico by then, and had gained a great deal of fluidity. So the software was really up to the task. Nevertheless, when working with Steve Page, one works with an excellent musician and so the results end up being collaborative rather than just me imposing a certain style on an existing song or piece of music. Since I do a lot of crossover orchestration for so-called “non-classical musicians”, there have been times when I had to deal with a tour’s music director rather than the artist, and the number of mistakes that can creep up – even the choice of keys – can be intensely frustrating at times. Not in this case though. DS: Your arrangement of “Hallelujah” was performed in June by the Toronto Symphony. How did it go? CL: I was not present, but it was a big success. The arrangement is a re-massaging of an earlier chart for large orchestra and optional choir that I did earlier. That arrangement was more concert-based and had an introduction and coda. This new one was for a popular vocalist and large orchestra and is therefore slightly more commercial though much of the orchestration remains the same. 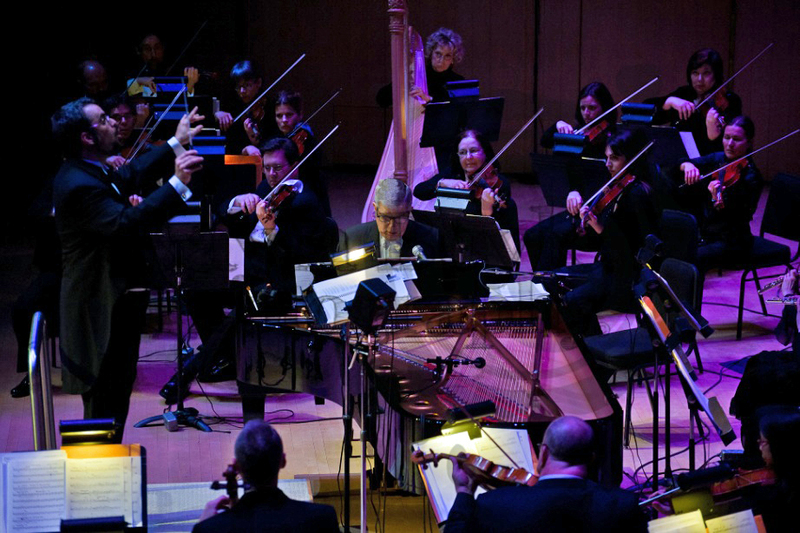 The TSO have just released a video of this performance, which is now on YouTube. DS: I know you’re incredibly prolific in your use of Dorico in producing materials for your various ensembles – what else have you been working on recently? CL: There have been many different projects. Just a few days ago, on January 20, my 30-minute original suite for orchestra, Postcards from Asia, commissioned by the RDSO, was performed for the first time. In December, Rosa Barocca performed my own edition of Handel’s Messiah, and the RDSO with a five-piece combo also performed ten new Christmas jazz charts at another December concert. I’ve also finished an arrangement of nine of the 14 movements of Saint-Saëns’s Le carnival des animaux for a 12-piece ensemble with no pianos to be performed on February 4 as part of Calgary Pro Musica’s chamber music series. And that’s just to name a few of them! 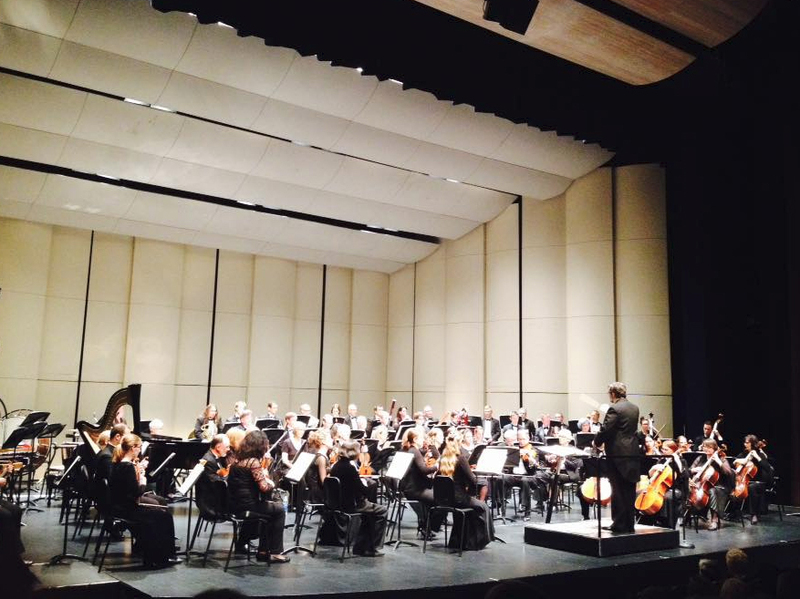 If you would like to find out more about the Red Deer Symphony Orchestra, visit its web site. If you are considering switching to Dorico from another scoring application, check out the videos on the Dorico YouTube channel, which includes a growing number of short but useful tutorials that will take you through the main features in bite-sized chunks. Look out for further posts in the Dorico showcase series in the weeks and months to come.